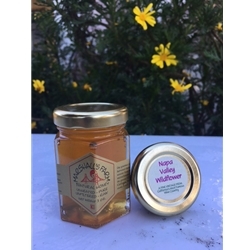 Harvested in October of 2007, this is a wonderful complex robust Organic wildflower honey. Not all of our Napa Valley hives are managed organically due to location. These hives are in Southern Napa on property adjacent to The Napa River and the Northern edge of San Francisco Bay.